Bill Van Esveld was an IILJ Scholar from 2004-2007. He receiving his J.D. from NYU Law in 2007 and is currently a senior researcher in the Children’s Rights Division at Human Rights Watch. He began working on children’s rights in the Middle East and North Africa in 2015. For the previous six years he focused on Israel, the West Bank and Gaza. 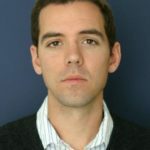 As the Arthur Helton research fellow at Human Rights Watch in 2007-08, he wrote or contributed to reports on Western Sahara and Sahrawi refugee camps in Algeria, asylum seekers in Egypt and Israel, and migrant workers in the United Arab Emirates. Before joining Human Rights Watch, Van Esveld helped report on Iraq for the International Center for Transitional Justice, and on human rights developments in the UN General Assembly for the International Service for Human Rights.